In recent posts, I've been teasing out some of the useful aspects of the kind of detailed ethnohistorical knowledge about past and present farming practices that went into my Ethnographic Landscape Study of farmers and farming in Columbia County, New York, in an attempt to address the fundamental "So what?" question that lurks behind any historical inquiry. However, "So what?" only gets us part of the way toward a more vital, shared historical consciousness about the agricultural past. Equally important is how to put this kind of knowledge into active practice so that it can inform contemporary debates and choices relating to food and farming. The final chapter of my report to Martin Van Buren National Historic Site proposed two guiding principles that the park might use in its management and interpretation of the agricultural land within its boundaries. The first principle was that there's an ever-present danger of creating an aura of "pastness" through too much focus on "period" farming techniques and landscapes, which should be countered by emphasizing longer-term questions and issues (such as the ones I wrote about in a previous post) and creating a permeable boundary between past and present. The second--important in any kind of partnership, but perhaps particularly with partners trying to survive in a risky and demanding business like farming--is that any farm-related projects should offer some identifiable, concrete benefit for the farms as well as for the park. Building on those basic principles, I outlined a number of recommendations and sample project ideas, which can be found in Chapter Nine of the report itself. Some of these raised as many questions as they answered (for example, how should a public agency like the National Park Service make decisions about which specific farms or modes of farming to partner with?). But I've come to accept that farming is just like that--there are few, if any, definitive guidelines! 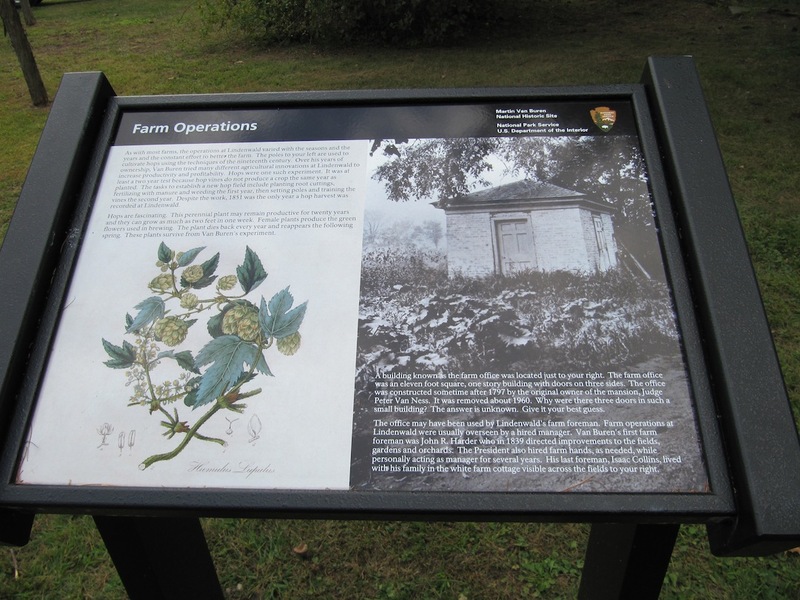 My suggestions tried to take into account both the politics and the practicalities of contemporary Columbia County agriculture, as well as the particular role played by Martin Van Buren himself and the park that preserves his working farm, while leaving room for the shared production of new knowledge informed by a careful consideration of evidence and debates from the past. All of this has left me with a desire to extend these questions and ideas further, which I'll be doing this spring along with a number of fine public history colleagues. And that gets me to the plan for the next several months of the blog. In partnership with Michelle Moon of the Peabody Essex Museum, I'll be facilitating a Working Group session on "Public History and the Local Food Movement" at the National Council on Public History annual meeting in Ottawa, Ontario in April. NPCH Working Groups are usually convened to focus on specific issues or projects, and ours is intended to further the professional conversation about the food/farm/history intersection and set out some of the theoretical and methodological issues in a way that's broadly useable by people in the field. Working Groups also generally hold some kind of pre-conference intra-group discussion, and that's where the blog comes in. We're planning to hold our discussions here, in the form of a weekly post from someone in the group and some commentary by others. We welcome broader participation by readers and friends--any and all ideas will enrich the mix. Michelle will lead off with the first post shortly, followed by what I think will be a really intriguing series of pieces focusing on that core issue of useability--getting history to the table as we're rethinking our food systems and all that connects to them. This is not--I repeat, not--merely a ploy on my part to get out of writing a blog post each week! I'm looking forward to expanding the dialogue and moving toward our face-to-face gathering in Ottawa in April. Happy New Year to all, and happy eating! The final narrative chapter of the Martin Van Buren NHS Ethnographic Landscape Study was a snapshot of northern Columbia County agriculture in 2010, when I completed the research for the report. Drawing on a quote from one of my interviews, it was titled "A Lot of Ways to Keep a Farm Going (1974-2010)" and brought the histories of some of the older farms I'd looked at across time up to the present. It also added a handful of new sites as a way to cover a wider range of farming practices in the county. The mix included everything from well-to-do horse farms to old Dutch farmsteads now converted to purely residential properties. I looked at one large and one small Community Supported Agriculture farm and an orchard business that was almost entirely reliant on pick-your-own and agritourism income. 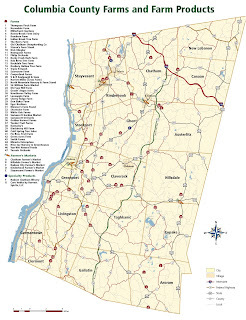 I included a large (by Columbia County standards) "conventional" dairy farm whose owners had moved to New York state after being priced out of suburbanizing Connecticut, and who currently work other farmers' fields all over this part of the county to grow feed crops for their cows. In contrast to this was a family who had been farming the same property for 200 years and who had purposely decided to scale back their operation to keep from falling into some of the cycles of expansion, debt, and over-production that have plagued dairy farmers. Every farmer included in the chapter had stories to tell about the hard choices to be made in remaining solvent, maintaining yields and land fertility, and staying in sync with what customers want and will pay for. One of the uses of this kind of "round-up" chapter is simply to show the continuation of very long patterns of volatility and change in what often appears to non-farmers as a rather slow-paced way to live and work. 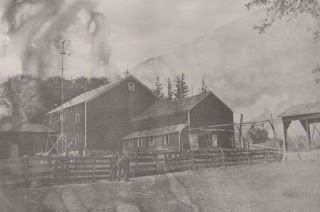 Two dairy farmers I'd been hoping to interview went out of business between the preliminary and primary research phases of my project; the pick-your-own orchard changed hands before the report was printed; and in a particularly heart-breaking happening, the early 19th century barn complex at Harrier Fields Farm (pictured above) burned to the ground in a hay fire just a few days after I'd interviewed farmer Mike Scannell there and admired the hay he'd just laboriously gotten in. The fire made all the stories I'd heard from farmers about past losses and disasters much more poignant and pointed, and it's also made me much more aware of the costs of subsequent events like the floods after Hurricane Irene last year or the drought of this past summer. The other utility of this survey chapter, for me, was to illuminate the range of ways that farmers continually draw on ideas and discourses from the past in constructing their own approaches to keeping a farm going. Neo-agrarianism of various kinds came to the fore in many of my interviews, particularly with farmers in the "sustainable" or "eat local" fold. In one of his newsletter columns [PDF] for Roxbury Farm's shareholders, Jean-Paul Courtens talked about re-embracing the label of "peasant farmer" as a way to challenge the logic of purely profit-oriented or fully-industrialized agriculture. Mike Scannell, on the other hand, harkened back to the Jeffersonian idea of the yeoman farmer, emphasizing the importance of land ownership, freedom from the burden of debt, and Wendell-Berry-inspired reliance on muscle rather than mechanical power. Some of the farmers drew on more personal histories and memories, including those of distant and recent forebears. A few even invoked Martin Van Buren, often referencing his early adoption of orchard produce as a cash crop or--in Mike Scannell's case--his attempts to rein in the growing political power of consolidated capital in the U.S. ("He was the last President to really stand up to the banks," Mike said during our interview). It was fascinating and useful to trace the overlapping and diverging currents of conversation among farmers in the area, and to recognize agrarian, reformist, industrialist, and occasionally utopian notions whose roots went back at least two centuries and sometimes far longer. History often complicates things, as several of these recent posts have shown, but it can also provide a sense of depth and perspective in a way that nothing else can. In what's going to be my final post for a while, I'll talk next about how I tried to roll all of this into some concrete suggestions for the national park. Then I'm going to hand over the reins of the blog to a great group of colleagues who will be sharing their own thoughts about the farm/food/history nexus over the next several months. More on that tomorrow! In my experience, every writing project presents some unexpected question that you have to wrestle with before you can get things to make sense. In my Ethnographic Landscape Study for Martin Van Buren NHS, that question was, "When did working farms and historic or touristic farms in the American northeast actually part ways?" I was working from the basic assumption that agriculture in the region was already in decline as a primary economic driver by the late 19th century, a basic tenet of the "farmers moved west in search of more fertile land" narrative. I also knew that the historic preservation movement was getting into full swing by that time, with the national centennial of the 1870s, the colonial revival of the 1890s and later, the founding of groups like the Society for the Preservation of New England Antiquities (1910), and then the first wave of American "living history" villages like Colonial Williamsburg and Greenfield Village in the 1920s. I confidently expected to find that those two trajectories would overlap somewhere around the turn of the 20th century, or perhaps closer to 1920, when, for the first time, more Americans lived in urban than rural places. But as I was casting around for evidence of this definitive split, I kept finding information that went in two different directions. First, farms and farmers were catering to the tourist market in a variety of ways far earlier than I had realized, dating back at least to the mid-19th century Shaker settlements (which welcomed visitors for a variety of reasons) and creating a sizeable sector of what we now call farm-stay vacations or agritourism. 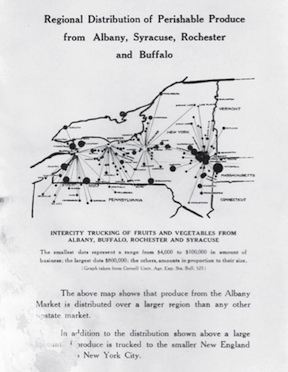 And these flexible strategies, along with a still-robust regional food network comprised of truck farms, urban markets, and cooperative ventures like the Capital District Cooperative in Menands, New York, helped small farms to remain active and competitive right through the first half of the 20th century. The split I was looking for just wasn't there--until after World War II. And that was the big takeaway from Chapter 7 of the report, which covers the years between 1917 and 1973, when Martin Van Buren's estate became a national park. Small farming was by no means as ubiquitous in the northeast as it had once been, but it was surviving fairly healthily until the postwar oil economy clobbered it in the 1940s and 50s. Long-distance trucking, supermarket chains, expensive new "inputs" like petroleum-based fertilizers, pesticides, and machines, and rising land prices as suburbs expanded into former farming areas all combined to make it exponentially more difficult for small farmers to survive. In his book about Land's Sake, the community farm he helped to start in Weston, Mass., Brian Donahue points to this "sensible regional food system" and suggests that we might do well to aim for something very similar if we're serious about re-regionalizing now. What's the utility of knowing this? I would suggest that it's a crucial reminder of how extremely recent our current system actually is. My parents grew up with much shorter food supply chains; it's only been within their lifetimes, and mine, that the famed 1,500-mile Caesar salad has been conceivable. And the fact that people are increasingly questioning the wisdom of eating this way begins to make it look as though we could soon see the second half of the 20th century as a stark anomaly, a moment when we let relatively cheap oil seduce us into thinking we could have a level of choice and convenience far beyond what anyone actually needs. Marianna Torgovnik has argued that World War II casts such a long shadow over subsequent U.S. war memories that it's difficult for us to see around it, and I'm wondering whether the same is true of the postwar shift into fully petroleum-powered agriculture. If it is, then the surprisingly interwoven histories of agritourism, preserved farms, and real-life farming before the war can be a useful counter-balance for the tendency to think of the robust small family farm as a thing of the much more distant past. Next: "A lot of ways to keep a farming going." University Press, 1994) p. 26. Brian Donahue, Reclaiming the Commons: Community Farms and Forests in a New England Town (Yale University Press, 1999), pp. 66, 74. Marianna Torgovnik, The War Complex: World War II in Our Time (University of Chicago Press, 2005). We're closing in on the end of the year, the end of my discussion of my Ethnographic Landscape Report chapters, and the end of this phase of "History at the Table." I have four chapters left to talk about, which I'm going to attempt to do in the next four days, and then the blog will enter a new mode for a while, which I'll say more about shortly. In movies and TV, people who are uncovering secrets from the past always stumble on some intriguing initial clue that leads them to a usually-linear series of discoveries culminating in a clear epiphany. Historians know that this seldom happens, and that real archival and ethnohistorical research more often involves finding tiny snippets of information that get pieced together to make more provisional interpretations. That's one thing we can learn from the process of doing rigorous historical investigations. But another lesson is that occasionally things actually do follow that clue-discovery-epiphany model, and when it does, it's tremendous fun. That was the case with Chapter 6, which covered years between Van Buren's death in 1862 and the First World War. In real life: misspelled Polish names in old Census records! I found an intriguing little clue in Martin Van Buren's Kinderhook neighborhood that suggested there were people getting into farming in Columbia County even as many of the older farm families were getting out. I wouldn't have noticed it except that I'd just completed a previous National Park Service ethnography study that focused on Polish-Americans. 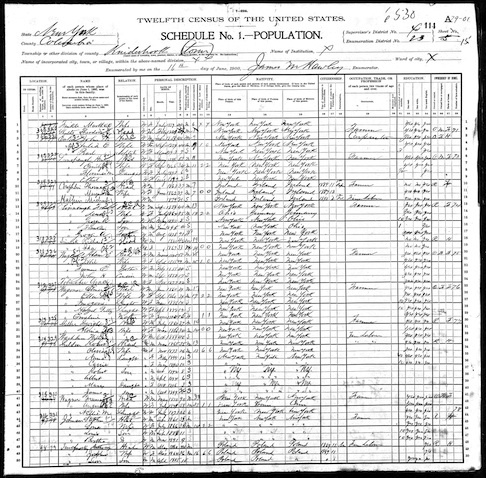 Because I was attuned to looking for Polish surnames, they jumped out at me from the U.S. Census records around the turn of the 20th century. Once I started looking more closely, I found a sizeable number of Polish immigrants in the immediate area, clearly part of the large wave of migration from occupied Poland in this period. The majority of Polish immigrants in the U.S. settled either in industrial cities or regions that serviced industry, like the coal-mining areas of Pennsylvania. Few were able to follow up on the widely-shared dream of becoming small independent farmers, but I knew from my earlier research that a minority had done so, often taking over the older farms of New Englanders and other northeasterners and sometimes making them highly productive again. 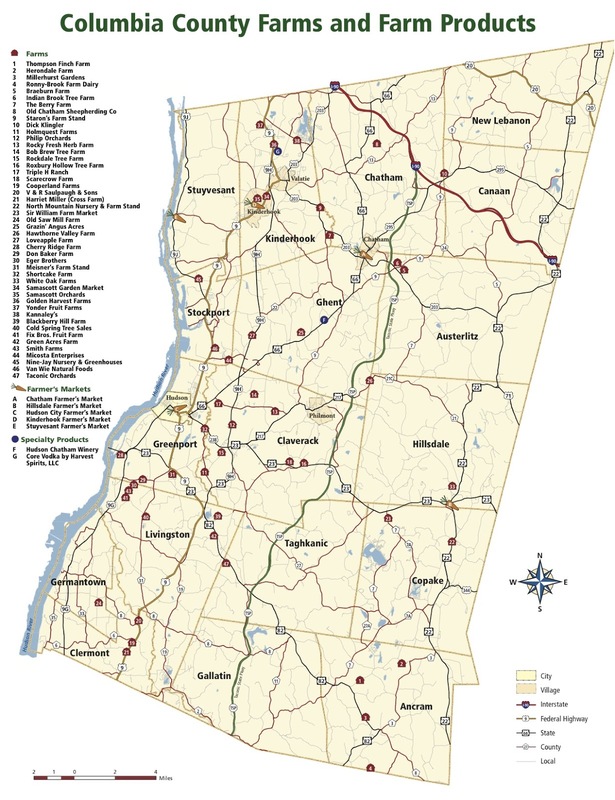 (This was particularly the case in parts of the mid-Connecticut River Valley, where Polish family farms remain an important part of the local agricultural economy.) 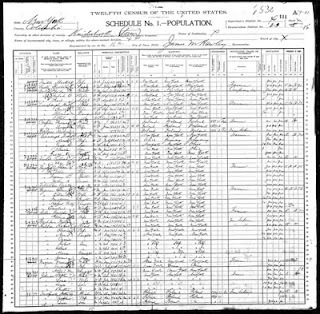 It became clear that Columbia County's Poles had followed that anomalous path, with sons and daughters often working in the county's small factories but with many family members--particularly the men--listed in the census as "farmer" or "farm laborer." Like many Dutch- and English-Americans of earlier generations, they combined waged labor for other farmers with subsistence and small-scale market farming on land that they bought or leased. Some Internet searching and asking around about family names from the old Censuses helped me to track down some descendants of the immigrant generation, and this new data helped me "read into" some of my earlier interviews and sources in a richer way. For example, a charming memoir by the daughter of a neighboring farm family provided some tantalizing glimpses of the tensions between the Polish farmers and well-to-do Dutch-American farmers whom the immigrants probably saw as analogous to the landed gentry of Polish rural areas: country squires and landlords who sometimes needed reminding of their responsibilities to the less well-off. The memoir recounts stories about a Polish woman that the family called "Bloody Mary" because she was the one who caught the pigs' blood in a pan during butchering. After one day of harvesting potatoes, she was found to have stacked one bushel inside another to hide some potatoes she had taken for her own use, but like others who were caught pilfering feed grain, lumber, and other supplies, she seems to have been hired again the next year. Perhaps "Bloody Mary" viewed her purloined potatoes as an informal benefit for her hard work and a way to remind her employer of his more-than-merely-financial responsibilities to those who labored in his fields. The discussion of Kinderhook's Polish farmers in Chapters 6 and 7 let me trace both the opportunities seized by these hard-working immigrant families and the growing challenges faced by small farmers as the 20th century went on. By the time of the Second World War, the sons and daughters of the newcomers had almost all moved on to other kinds of work; the few who stayed in farming had embraced the new mechanization, chemicals, and mono-cropping that have come to characterize industrial agriculture. So the discovery of this nearly-invisible farm population doesn't change the big story arc. But it complicates it in useful ways by showing that "decline" can sometimes be accompanied by renewal and reinvention, and that going "back to the land" was by no means confined to the 1960s and 70s. 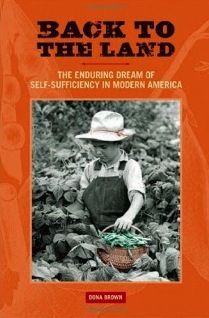 Recognizing that helped me to see other examples of it from the 1930s and the 1950s (a fascinating history that Dona Brown has recently traced in her 2011 book Back to the Land: The Enduring Dream of Self-Sufficiency in Modern America). It also provided a kind of sideways connection with the farmers who, in 1924, invited philosopher Rudolph Steiner to give a series of lectures in German-occupied Poland to address their concerns about the decline in their soil and livestock fertility after the use of chemical fertilizers. 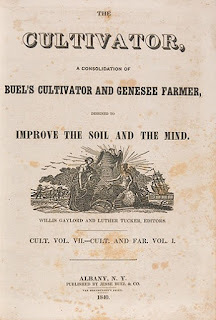 Steiner's lectures laid out the principles of what became biodynamic agriculture, which was transplanted to the U.S.--specifically, to the Hudson Valley region--a decade later and which is practiced by the farmers who currently cultivate Martin Van Buren's old farm. All these "alternatives" and hidden histories give us a picture of how ideas about farming have historically circulated in surprisingly cosmopolitan and far-flung networks. So this wasn't a quest on the scale of the DaVinci Code, but it was an example of how pursuing a seemingly random snippet of information can throw a new light on some of what was happening around the edges of the big, taken-for-granted story of agriculture in a given period. Next: Sometimes history helps us see how short-term a trend actually may be. For more on Polish farmers in America, see Dennis Kolinski, "Polish Rural Settlement in America" in Polish American Studies 52:2 (Autumn 1995), pp. 21-55. Elisabeth Van Alstyne Wilson. Children of Sunnyside. Self-published, 1965. Columbia County Historical Society. 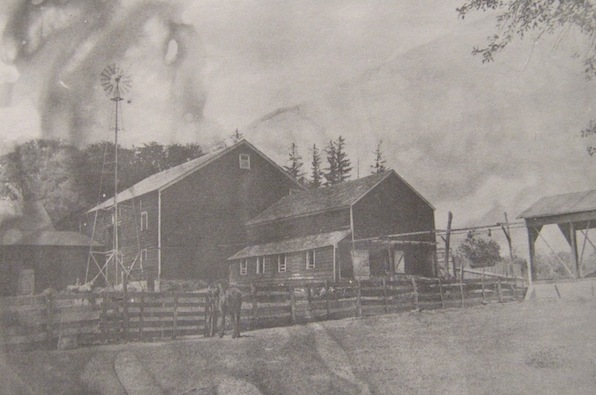 The 1890 image of the Sunnyside barns above is from the book. Shortly before he lost his bid for Presidential re-election in 1839, Martin Van Buren purchased an old Dutch farm in his home town of Kinderhook, New York. After the election, he moved there permanently, continuing to play a part in national politics but also becoming a serious farmer. 170 years later, the small national park centered around Van Buren's country mansion expanded its boundaries to include the property's 19th century farm fields as well. Those fields are now protected for agricultural use in perpetuity and most of them are currently being cultivated by Roxbury Farm, a vibrant biodynamic CSA. Prompted in part by concern about keeping prime farmland in Columbia County in cultivation, the boundary expansion has been both supported by and the impetus for a number of park-commissioned studies documenting Van Buren's farming and--in the case of my own Ethnographic Landscape Study--the longer history of agriculture in the county. In thinking through the practical utility of the chapters of my report, as I've been doing in this series of posts, I'm struck by how Chapter 5, on Van Buren's quarter-century at the farm, brings us up against some of the thornier issues of moving good historical scholarship into the public sphere. While I was doing my primary research, the park and the farm were engaged in trying to negotiate the terms of their new relationship, a process that is still ongoing and that exposed tensions between differing philosophical approaches, management styles, and economic imperatives. A question that the park and I were both wrestling with, in parallel, was, "What kind(s) of contemporary farming are compatible with the park's core mission of interpreting the life and political career of Martin Van Buren?" This question was most salient for the small amount of land owned outright by the National Park Service (most of the acreage is actually in private hands) but also for thinking about possible future partnerships with other farmers who might farm the property at some point. For the second half of the 20th century, Lindenwald's farmer-owner had grown corn, potatoes, and other commercial crops using DDT and other toxic pesticides, and there was a strong consensus--supported by general NPS policies--that this was not a compatible use. But the question opened a real can of worms: toxic pesticides might be off the table, but what other methods were acceptable or unacceptable? Did Martin Van Buren's own farming practices offer any kind of guide to defining those limits? How useful was the historical record in helping to guide present- and future-oriented decision-making? There are certainly many intriguing overlaps between Van Buren's farming and some elements of the contemporary food movement, including CSA and biodynamic farming. Van Buren's farm provided much of the food for his own household; this was still a time of "eating local." Commercial markets were beginning to exert a much stronger influence on what farmers grew and how they sold it, making the mid-19th century not unlike our own time in its particular blend of local consumption and more distant marketing. 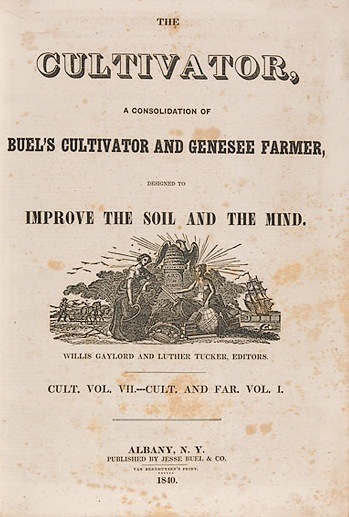 Van Buren was au courant with many of the farm reform ideas of his time, and seems to have shared the concern of many in the northeast about the future of farming and the livelihoods and values that went with it (including, importantly for Van Buren, the virtues of "free soil and free men"). Duke University historian Reeve Huston, who conducted a Special History Study [PDF] on Van Buren's farming for the park, tended toward an interpretation of the former President as an enthusiastic adopter--if not precisely a pioneer--of techniques such as restoring the fertility of over-worked fields through manuring, experimenting with new crops like hops, and reading progressive farm journals like Jesse Buel's Albany-based Cultivator. 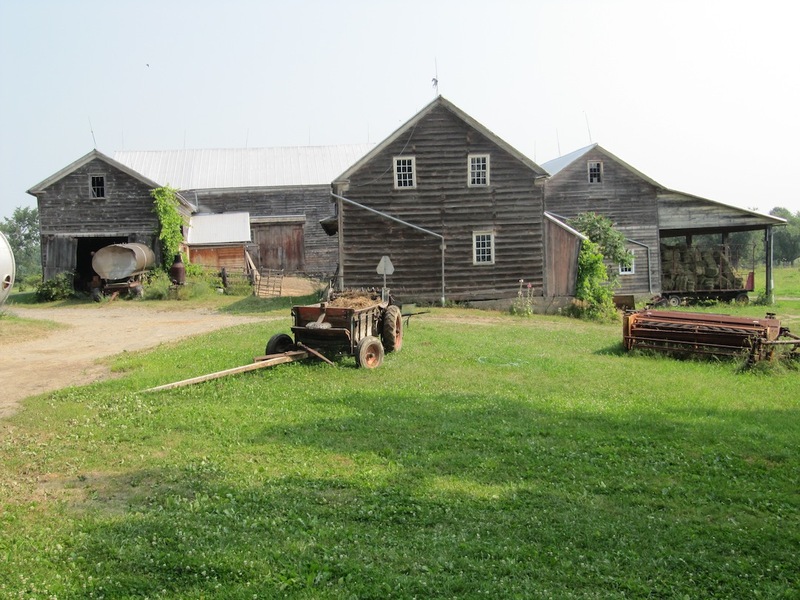 Roxbury Farm's practices echo and mirror many of these historical precedents, including that its founder, Jean-Paul Courtens, is himself Dutch-American, like Van Buren and others who cultivated this land from the 17th through the 19th centuries. 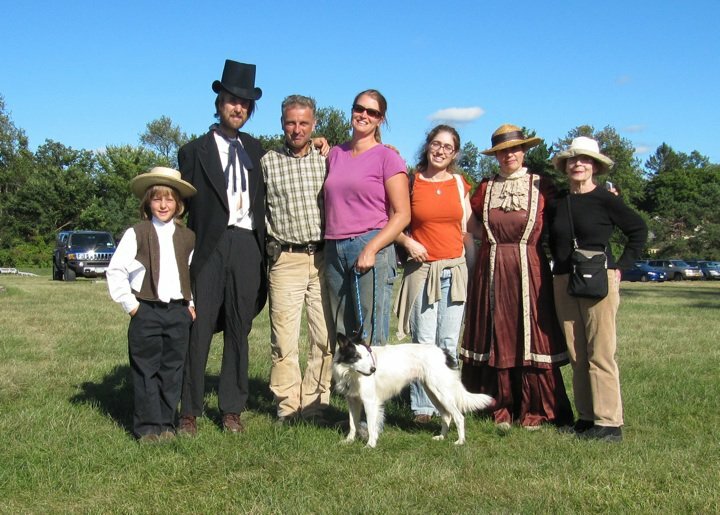 Jean-Paul traced out some of these similarities in a September 2010 newsletter [PDF], locating Roxbury Farm within the longer trajectory of reform efforts in Columbia County, and we used this history as the basis for a "three-century farm tour" at the park's 2010 Harvest Day celebration (at left, after the tour, are Otter and Conrad Vispo from the Farmscape Ecology Program, Jean-Paul Courtens and Jody Bollyut of Roxbury Farm, Anna Duhon from FEP, yours truly as the early 20th century daughter of a neighboring farm, and Kinderhook historian Ruth Piwonka). But despite all that, when I came to write Chapter 5 of my report, the conclusion I rather reluctantly came to is that the history of Van Buren's own farming in no way provided a straightforward guide to what might be done on the farm in the present or future. There were overlaps but also sharp differences, including of course the fact that no era is ever an exact repetition of a previous one. And Van Buren himself, like virtually all farmers, created his own idiosyncratic set of choices and practices, pursuing some of the latest technologies but also planting his potatoes according to the phases of the moon, as his forebears had done. If there was a simple answer to guide the park's planning, it was that farming is an immensely complicated and dynamic activity that is inherently in dialogue with the changes and conditions of its own moment and practitioners. So there were two takeaways for me from Chapter 5, in terms of history's utility in thinking about present-day farming and historic sites. First, the chapter was an important corrective to the hope that the historical record can somehow provide a model or a map for "getting it right" in the present. If anything, the historical record will almost invariably complicate things, which is frustrating but also important in keeping us from leaping to too-hasty or too-simple conclusions. History, if you look closely at it, has a habit of forcing you to reflect more deeply and weigh alternatives more carefully. And the second takeaway, since we do sometimes need to act rather than getting stuck in the pondering phase, is that it's important to be clear about what historical research can help us with and what just needs to be decided based on more present-oriented considerations. In other words, we need to beware of asking history to do too much as well as too little. Next: Finding new histories--and unseen alternatives--between the lines. Chapter Four of the Martin Van Buren NHS Ethnographic Landscape Study report that I'm commenting on in this series of posts dealt with "Farming in an Emerging Market Society (1787-1839)." This chapter, which takes the story of Van Buren's farm up to the time when he purchased it just before losing his bid for Presidential re-election, left me with two big and really important takeaways. First, thinking through the ways that farming in the northeastern states changed during this period left me firmly convinced that large-scale capitalism and small-scale agriculture are fundamentally at odds. By "large-scale" I mean not just global or corporatized, but pervasive in its adoption of a logic that foregrounds efficiency in search of maximum profitability. 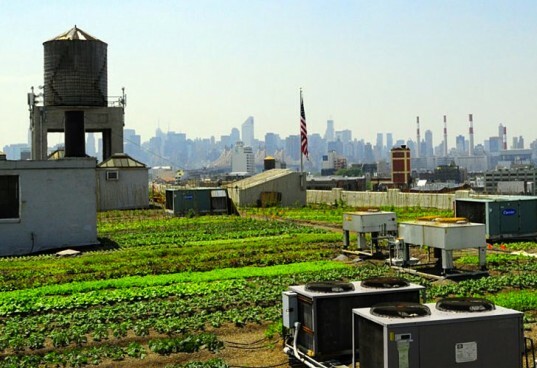 In agriculture, that logic has historically taken us down the road toward increasing mechanization, consolidation of small properties into larger and more expensive farms, pricing based on often-distant and often-volatile markets rather than local circumstances or costs of production, and other trends that eventually led to a fully industrial, commoditized food system not accountable to local markets or conditions. The seeds of what some have termed the "paradox of plenty"  or "problems of plenty"  were sown in this period, with efficiency and consolidation leading to lower prices and greater abundance for consumers, but driving small farmers out of business and leaving the rest chasing an ever-receding threshold of profitability. It has taken a long time for the full implications of this to become clear, but the signs were there from the beginning. 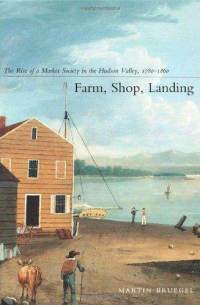 One wonderful resource for my Ethnographic Landscape Study was Martin Bruegel's Farm, Shop, Landing: The Rise of a Market Society in the Hudson Valley, 1780-1860 (Duke University Press, 2002), which gives a detailed picture of how the growing and selling of food were changing in response to the increasing prevalence of market-based logic. Bruegel reports (pp. 59-60) that a kind of informal "fair trade" system existed in the region until the early 19th century, with farmers and traders working out deals that spread their profits and risks fairly equitably. As more fully capital-oriented markets took hold, however, those agreements were challenged. For example, an 1810 ordinance in the town of Hudson required vendors in the public market to make their goods available to all comers rather than holding back some products for favored or regular customers (pp. 67-68). This reflected a growing expectation of standardized pricing based on general supply and demand, rather than more flexible relationships between producers, consumers, and intermediaries. And my second takeaway is the realization that despite some level of early 19th century prescience about the problems inherent in letting those more generalized "laws" of supply and demand determine how food would be grown and sold, no one had enough experience yet with capitalist markets to see where this all might lead. As the riskiness of those markets became clearer--for example, after the Panic of 1819, one of the first systemic economic crises in the new republic--various efforts to strengthen and improve agriculture in the old northeastern states emerged. But the irony of these projects is that they often involved pursuing exactly the same kinds of strategies--efficiency, higher yields, open markets--that were undermining the ability of small farmers and other food producers to survive in the longer term. One striking example of this that I came across in researching my study is the early 19th century controversy over New York City bread prices. Regulations known as the "assize of bread," rooted in medieval English law, limited bakers' profits and were resented by early American bakers, just as current limits on the price of milk are resented by dairy farmers unable to cover their own costs of production. In November of 1801, New York's bakers staged a one-day work stoppage that badly frightened consumers and led the city government to intervene to make sure that bread--a staple food--remained available. The bakers were trying to assert their right to a fair piece of the emerging market economy, just as small farmers were. But both groups miscalculated, failing to understand their relative lack of power within a system increasingly dominated by concentrated capital and the unforgiving logic of efficiency. 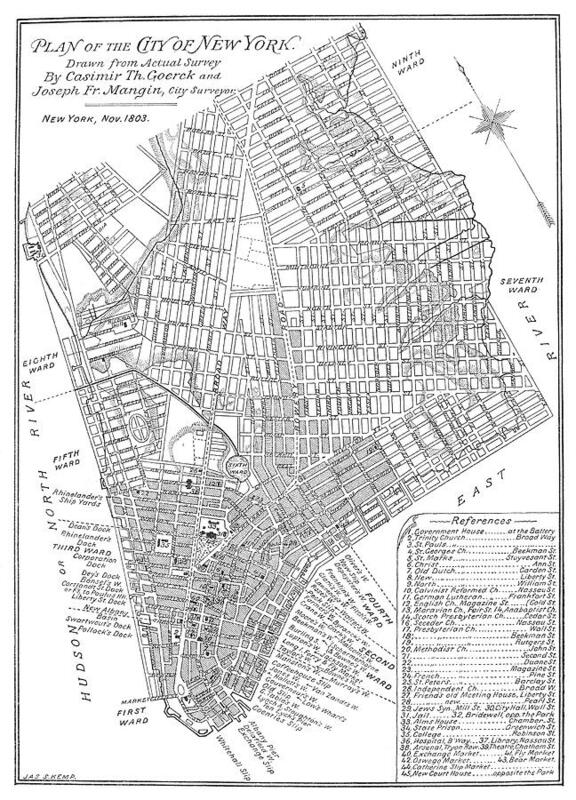 New York's bakers finally managed to get the assize of bread abolished in 1821, but their organizing had irked a group of New York financiers who saw older artisanal guild networks as a barrier to free trade. These well-heeled investors responded to the bread crisis by launching a new corporation, the Bread Company, that could provide cheaper bread to consumers. By helping to create the legal underpinnings for a more wide-open market system, farmers, artisanal producers, and their allies among politicians and reformers actually made small farmers and producers much more vulnerable to large-scale competition and economic volatility. The really big takeaway here, and the reason why I think this particular period of history is well worth present-day food and farm reformers knowing more about, is that it shows how the attempts to compromise and chase after the new efficiencies demanded by capital-oriented markets in order to keep small-scale food production functional ultimately had exactly the opposite effect. This history lends weight to contemporary efforts to re-scale our food systems so that they are once again more accountable to regional and local conditions and markets. The "lessons" of the past aren't usually directly applicable to the present, but there can be a great deal of benefit from being able to say to those who argue for a fully market-oriented food system, "Look, we tried that, and here's why it didn't work." Next: Martin Van Buren buys a farm and Cathy struggles with presentism. Harvey Levenstein, Paradox of Plenty: A Social History of Eating in Modern America (Oxford University Press, 1993). R. Douglas Hurt, Problems of Plenty: The American Farmer in the 20th Century (Ivan R. Dee, 2002). The assize of bread is discussed in Chapter 7 of Howard Rock's Artisans of the New Republic: The Tradesmen of New York City in the Age of Jefferson (New York University Press, 1984). 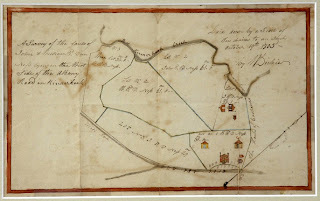 The 1805 map is by William Dickie, "A survey of the lands of John and William Van Ness...on the West Side of the Albany Road in Kinderhook" (from the collection of Martin Van Buren NHS). Just as Native American farming practices give contemporary food activists a way to envision agriculture before the modern term got applied to it, the Dutch colonial farmers who moved onto Indian lands in the mid-Hudson Valley as part of the New Netherland colony provide a window into the surprisingly global network of regional production that existed in the early period of European colonization--a blend that seems in many ways to be quite close to what a lot of food and farm activists are envisioning today. I'm certainly not suggesting that colonialism per se provides a useful model for reinventing our food systems, but the specific configurations that existed within colonial empires do shed some light on the possibilities for how we might knit together local, regional, and global resources in a way that doesn't depend on oil and industrial ways of growing food. 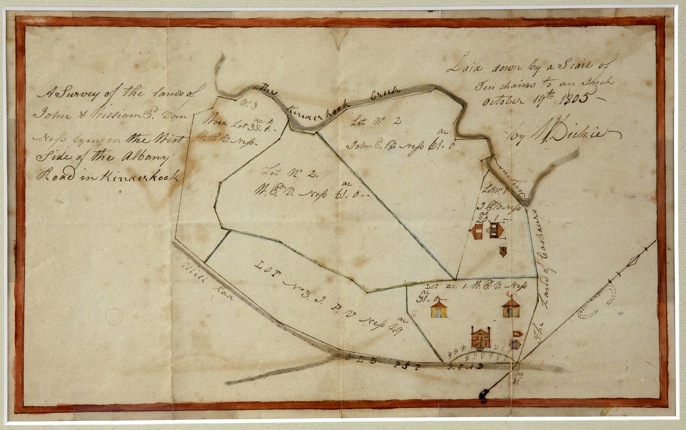 In the Martin Van Buren Ethnographic Landscape Study that I'm commenting on in this series of posts, the colonial Dutch are the subject of Chapter Three, "Colonial Dutch Settlement, Farming, and Foodways (1609-1787)." This was one of the most confusing chapters to write, in large part because of the incredibly complex details of land exchanges between the Dutch and Native Americans and among the Dutch settlers themselves. 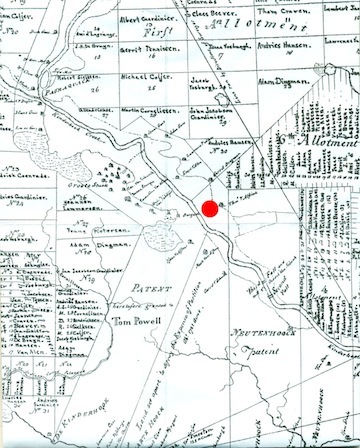 Even Kinderhook historian extraordinaire Ruth Piwonka, who has spent many decades combing through old deeds, maps, and other sources, still can't be entirely sure about the original transactions around the piece of land that later became Martin Van Buren's Lindenwald estate (marked by a red dot on this 1774 copy of a 1767 map showing the division of land in the 1687 Kinderhook Patent). Although historical and ethnohistorical research depend on exactly this kind of careful gathering of often tiny bits of data, there are also times when jumping to a broader level of context may be more useful in understanding what was going on, and that's what I found in the case of this chapter. 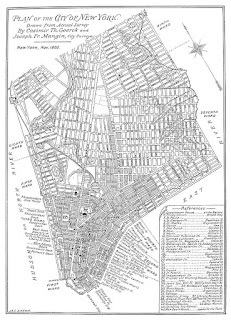 Once I gave up on the idea of definitively tracking the ownership of this piece of land, it became more interesting to follow the origins of the families in the immediate neighborhood. When I started doing that, I quickly realized that the single term "Dutch" is actually very misleading. This wasn't a case of a consolidated nation-state administering a distant colony from a powerful metropolis, as later happened, but a surprisingly loose amalgamation of different regional centers, all drawing on highly diverse populations, farming and marketing techniques, and economic networks. The "Dutch" settlers came from across northern Europe, including French- and German-speaking areas as well as Scandinavia. The largest single group did hail from North Holland, which includes Amsterdam, but the Low Countries’ location had long made them a crossroads and an important shipping and trading region, fostering a certain cosmopolitanism within the Netherlands itself. And the colonists were occupationally diverse as well: although most or all took up farming out of necessity once they arrived in the New World, only about a third had started out as farmers, with the rest coming from backgrounds as soldiers, artisans, servants, and fishermen. The specific origin of the Van Alstyne family who took up residence on what had undoubtedly been Mahican farm fields along Kinderhook Creek in the early 17th century was the Dutch province of Drenthe, a region where an inter-regional market economy had begun to flourish in the late medieval period of the 14th through 16th centuries and where many farm families also pursued artisanal skills to add to their subsistence. Jan Martense Van Alstyne, the patriarch of the family that built the first European farm on the Lindenwald lands, is described in some documents as "De Weever," suggesting that he may well have been one of those artisan/farmers. Regionally-specific patterns of land use--particularly settlement in tiny villages and relatively isolated farmsteads along rivers and creeks combined with unenclosed "commons" for grazing livestock--came to the New World with these settlers, along with long-running debates about how to find a workable balance between the needs of individual farmers and the carrying capacity of their shared environment. This is a view of a world not yet coalesced into the nation-states that we take for granted today, in which regional patterns of settlement and cultivation from one part of the world met up with and were influenced by those of another. This more nuanced view of past farming and eating also turns up in James McWilliams' study of colonial and revolutionary era America (A Revolution in Eating: How the Quest for Food Shaped America, Columbia University Press, 2007), which argues that at least up to the late 18th century, colonial farmers were part of vigorous and far-flung inter-regional networks that always managed to circumvent the desired flow of raw materials simply from hinterland to metropolis. None of this is breaking news in the historical profession, but it's a past that isn't widely recognized yet within the food movement, and it adds a very useful layer of awareness of just how much was historically done without fossil fuels and industrial machines. Next: Road bumps along the way to a market society. * In this asynchronous map of the Dutch colonial empire, the dark green areas show regions administered by the Dutch West India Company, light green the Dutch East India Company, and orange dots represent other places where the Dutch had a colonial presence. Detailed sources for other information in this post can be found in the Ethnographic Landscape Study report itself, available as a PDF from the Martin Van Buren NHS website. I started this blog a year ago intending to post roughly once a week for at least twelve months, and while I haven't quite hit that target (some weeks are like that), it's been pretty close. I'm planning to wrap up this first phase of the project's existence with my chapter-by-chapter discussion of the Ethnographic Landscape Study for Martin Van Buren National Historic Site, and then segue into something new in January--stay tuned for more about that shortly. In my previous two posts, I surveyed the broad questions I was addressing in the study and the types of synergy I saw operating between food/farm history and historic sites. Both of those posts, and the introductory chapter they were based on, centered around the issue of how we can find vital connections between knowledge about farming in the past and efforts to strengthen local and regional food and farm economies in the present. As I go through the ethnohistorical and ethnographic chapters of the report, I'm going to focus directly on that question, and to ask, "What case can be made for bringing this particular piece of history into the crowded present-day dialogue about food and farms?" Here goes with Chapter 2. Chapter 2 looks at Native American farming practices in the Hudson Valley up to about the early 17th century, when Dutch colonizers arrived. As with most Native history, the written record is spotty and colored by misperceptions of many kinds. It's clear, though, that the fertile river floodplains served the Mahicans as agricultural fields for perhaps centuries before the Europeans came on the scene, and that they contributed cultivated vegetables--particularly the "three sisters," corn, squash, and beans--to a varied diet that also drew on foraging, fishing, and hunting. As has been very well documented by now, Native conceptions of land use and territorial boundaries were based on collective rather than individual ownership, long-term stewardship rather than short-term resource extraction, and a layered system of rights in which permission to work or use a piece of land could be granted to an outsider without removing it from an overall ancestral homeland. The European "all-or-nothing" system of ownership very quickly came into conflict with this paradigm, diminishing the Natives' access to farm fields and hunting territories that had supported their ecologically and agriculturally sophisticated occupation of the mid-Hudson Valley. So what does this kind of (now generally known and accepted) knowledge contribute to contemporary food and farm debates? To my mind, its principal utility may be in the way it helps us think about the cultivation of plants for food outside of the surprisingly limiting concepts of "farming" and "agriculture" per se. However inaccurate it may be, when we think of "a farm" and "agricultural society," we tend not to think of Indians--farms and agriculture are things that came along with the Europeans. And I think that's actually a good thing. 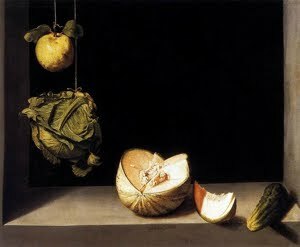 I've been teaching a social theory class at Tufts this fall, and that has reminded me that one of the recurring themes in the history of anthropological thinking is how our own cognitive categories--what's okay and not okay to eat, what gender roles are supposed to look like, and so on--both structure and constrain our sense of reality and possibility. Structuralist thinkers taught us that, and post-structuralists showed us how these categories of thought have often been battlegrounds for struggles over ideology and power. Deeply value-laden definitional squabbles over farming--what counts as a farm, which states are "farm states" and which ones aren't and what kind of political power accrues to that, how we classify what's conventional or industrial or organic agriculture--have been going on for a long time in the U.S., and they can blind us to the much wider range of cultivation practices that have always existed alongside and in the interstices of what has become mainstream in American agriculture. As with so many other domains--for example, race, citizenship, and sexuality--challenging and shifting these farm-related concepts is an essential aspect of making real change. So while there are a lot of reasons why the study of Native cultivation is important (knowledge about permaculture and intercropping, among many other things), I would point particularly to the way that it lets us escape a limiting set of concepts when we're thinking about growing food, so we can approach the whole subject with fresher eyes and minds. Next up: Dutch farmers in early America. Admit it. When you look at this image, you think "yesteryear" or something close to it. 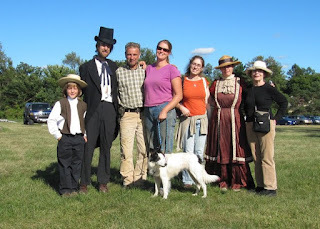 The photo isn't, however, of a living history village or reenactment of olde tyme farming. It's from the Tillers International website, and shows a pair of the oxen that Tillers uses in teaching and developing small-scale, non-energy-intensive farm techniques--mostly intended for use in international rural development projects--based on the tools, methods, and lessons of American agricultural history. In other words, it's very contemporary, even cutting-edge, as are the many small farms that use draft animals rather than (or along with) petroleum-powered machines. But that "yesteryear" impulse is a tough one to get rid of, and my own dissatisfaction with it--and the way it permeates virtually all historic sites and projects relating to agriculture--is one of the main reasons I was eager to take on the Ethnographic Landscape Study project for Martin Van Buren National Historic Site. In the first chapter of the study, I set out some of the reasons why historic sites might want to build stronger partnerships with contemporary food activism, education, and markets, especially at the "sustainable" end of the food and farming spectrum. I also tried to spell out some of the things that stand in the way, including the fact that most farms have to be very attentive to profitability in ways that differ from non-profits' approach to finances. That need to stay profitable also means that farmers have to adapt, sometimes very quickly, to changing weather, markets, and other conditions, which puts them somewhat at odds with historic sites' tendency to focus on a single period or span of time. Direct synergy. 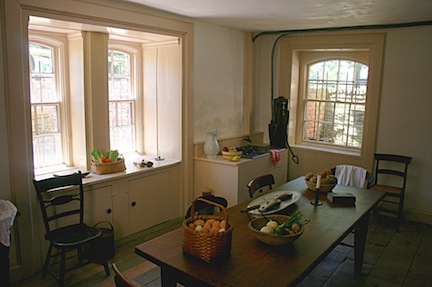 This happens when a historic site's agricultural or agrarian history is part and parcel of the reason why it was preserved, as at Shaker settlements or farmers' museums like the one at Cooperstown. As with everything else about farming, though, even this "direct" connection is often fuzzier than it seems at first. The most holistic, "authentic" agricultural landscapes (for example, living history villages) are often re-creations, villages, while the most direct, contemporary cultivation of historic farms may prove difficult to integrate into historic landscapes, as has been the case at Martin Van Buren NHS. Indirect synergy. This comes in various forms. Because farming was such a widespread way of life in America until well into the 20th century, many--perhaps most--historic sites have an indirect synergy with farming, even it it's not part of their original mission. Civil War battles fought in farmers' fields have resulted in preserved battlefields that need to be kept cultivated in order to convey a sense of the historic landscape. A second kind of indirect synergy emerges from shared concerns with education about past and present farming practices. For many farmers, especially in the local food and sustainability movements, public access to farms and education about farming practices are essential to building an informed clientele that will enable small-scale and artisanal farms to survive and thrive. For historic sites, of course, education about the past is seen as inherently valuable; teaching people about present farming practices falls into a somewhat grayer area. Finally, the values of the kinds of people who tend to work in historic preservation, public history, and cultural resource management tend to involve them in "localism," land stewardship projects, and environmentalism, making them personally and professionally sympathetic to things like small-scale farming, the sustainable food movement, and efforts to protect open space and working farmland. Implied synergy. This is the insidious one. For many contemporary visitors to historic sites, farming itself is inherently historic, old, and unfamiliar, creating expectations and perceptions that may turn out to be at odds with present-day farming practices and landscapes. Especially in the all-encompassing environment of older-style living history farms, visitor nostalgia, escapism, and purely aesthetic pleasure (just look at those pretty purple flowers in the photo above!) 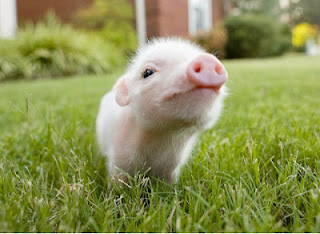 can quickly override interest in more present-oriented farming issues and methods. Hancock Shaker Village combines baby-animal cuteness with working agriculture. It's my hope that the continuing expansion of the local-food movement signals new potential for overcoming what I think of as the baby-lamb (or sometimes piglet) effect. That doesn't mean we shouldn't enjoy the flowers and the fuzzy baby animals--just that it would be great if we could learn to see them as part of agricultural landscapes that are both "historic" and "working." Next post: Trying to see farming (and culture) outside of Western categories.